Our packing philosophy is going to get tested severely on our next dive trip. You see, I bought a BCD and we are not 100% sure we can still get all my gear in one carry-on bag and a “purse”. When we were in Utila, I had numerous challenges with rental gear. The first BCD was too large, even though is was a “small”. The second BCD was not in good shape and the buttons were sticky. The third BCD kept self inflating. After the third BCD, I went back to the second one. For a dive specific resort, I was surprised at the quality of the gear. In Utila town one afternoon, P&V dragged me into a dive shop and had me try on a Cressi Aqua Pro 5R in an x-s. It fit like a glove and P said it was perfect for me. She also said I should just buy it right now so I could use it for the rest of the dive trip. It was so tempting, but I resisted the $405 US plus Honduran taxes of 11%. Instead I decided to wait until we got home to see if I could get it cheaper. There was a risk in doing this as the need for a working BCD would decrease rapidly once we got home, and I may not follow through. Once we got home, we got right on the web and started searching. I found a couple of other BCDs that looked interesting and were made to be light for travel. The Ladyhawk and Litehawk by Scubapro http://www.scubapro.com/en-US/USA/bcs.aspx . The Litehawk looked interesting but some reviews said it did not last for more than 50 dives. One of my lesser criteria for buying a BCD was that it had to last for at least 10 dive trips (10 years), so this lack of longevity concerned me. My most important criteria was fit. I knew the Cressi fit me and we would be buying these other ones without trying one on. There was too much uncertainty in this, so I decided to go ahead with the Cressi. It turns out the Cressi x-s weighs just as little as a Litehawk x-s/s. So as far as packing weight, I did not loose anything by buying the Cressi. Although I may have lost some packing volume with the Cressi over the Litehawk. 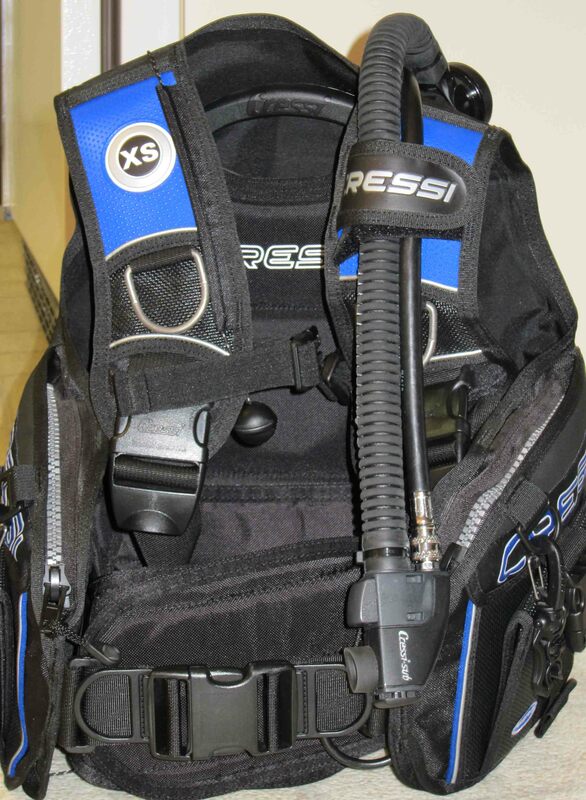 I now am the proud owner of a great little BCD that fits and actually works! I am looking forward to our next dive trip to test it out and to test our carry-on only packing philosophy. PS I am also going to purchase my own octopus. Will let you know how that goes! 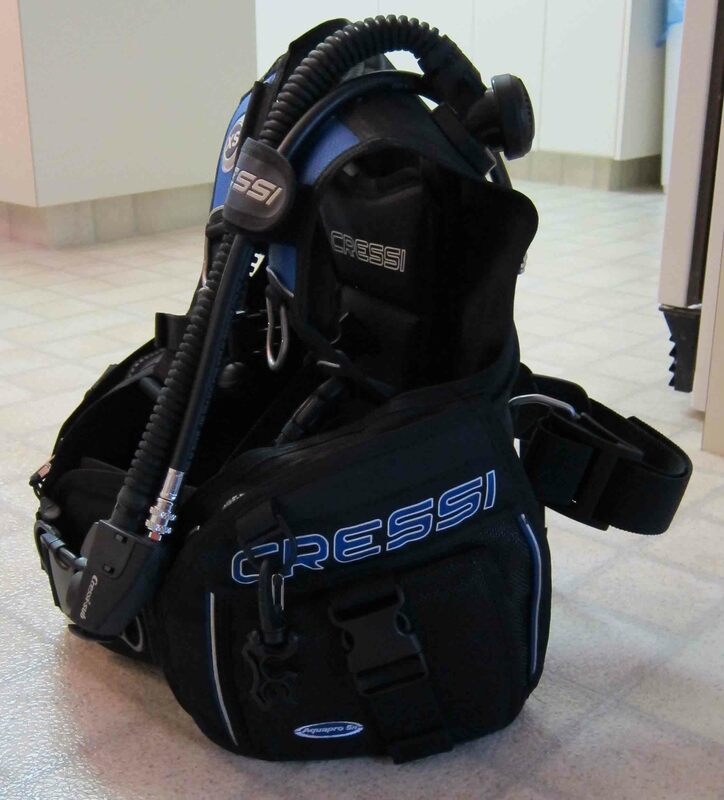 This entry was posted in Packing and tagged BCD, carry on luggage, Cressi, scuba diving gear, Scuba Pro. Bookmark the permalink.